Unleash business impact with the leading low-code platform. At Appian, we believe companies need a simpler way to create powerful software. That’s why we pioneered the low-code market. Speed and impact in one platform. Deliver apps up to 20x faster with fewer resources. Use drag-and-drop design to build your app then deploy to any device. Bring business and IT together to collaborate and deliver the right app. Orchestrate processes across people, robots and machines. View disparate data in a single screen and take action no matter where it's stored. Get the most secure, reliable and scalable cloud platform for the enterprise. When times change your applications will keep up automatically. What’s your toughest business challenge? 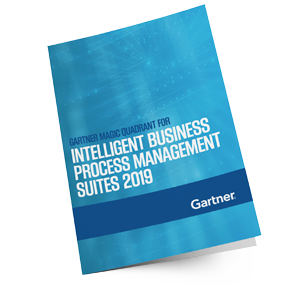 See why Appian was named a Leader in the iBPMS market. 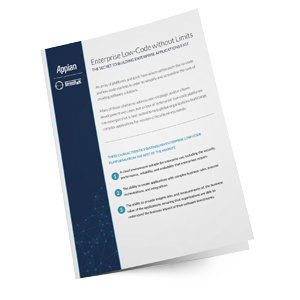 See why the world’s leading enterprises trust Appian to build digital solutions up to 20x faster. 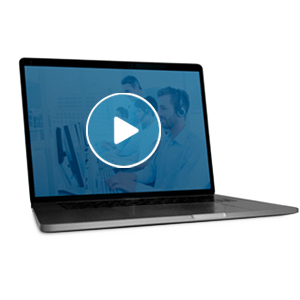 Learn how to quickly build large, complex applications for mission-critical business needs.